« John Piper: What are the commands of Jesus? 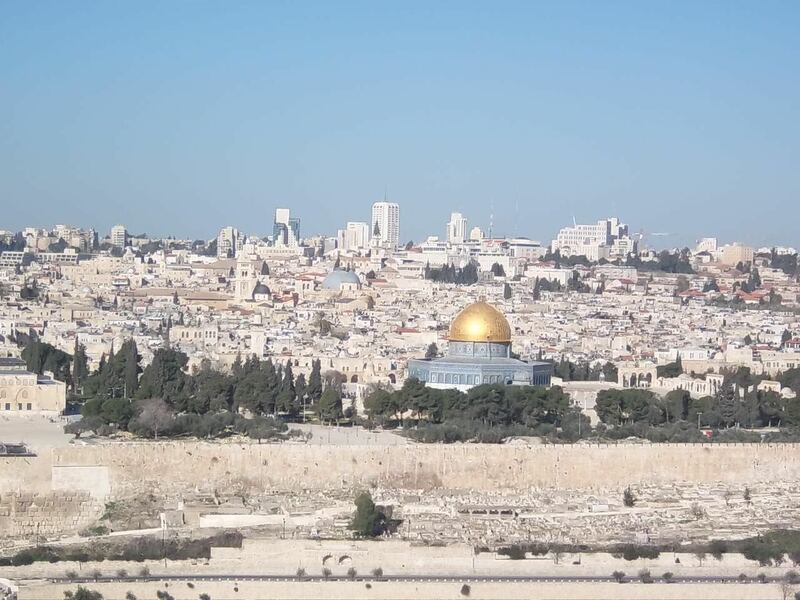 If you go to the Temple Mount in Jerusalem—where the Temple used to be located, before it was destroyed by the Romans in 70 A.D.—you’ll see a Muslim shrine known as the Dome of the Rock, considered the fourth holiest shrine in Islam. Non-Muslims are allowed up there, but, out of respect for Islam, we are not allowed to pray—out loud—or carry Bibles there. Oddly, this law is enforced by Israeli soldiers who patrol the Temple Mount. They carry big Uzis, and if you bring a Bible with you, these soldiers will confiscate them at gunpoint! Needless to say, I didn’t bring a Bible. I have great respect for 18-year-old kids carrying Uzis, believe me! If you tried to preach the gospel there, well, that wouldn’t be well-received, either! That’s literally the only place I’ve ever been where I wasn’t allowed, by law, to practice my Christian faith. 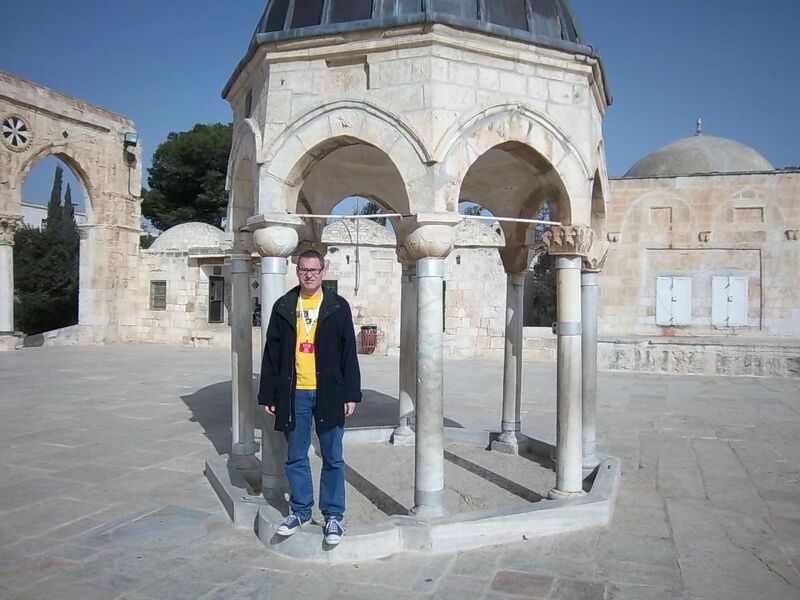 Here I am on the Temple Mount in Jerusalem back in 2011. Picture that image: armed soldiers arresting you at the temple for practicing your Christian faith in public. That’s exactly what Peter and John are up against in today’s scripture. In the previous chapter, they healed a crippled beggar who had been paralyzed for 40 years. The crowd of people who saw the miracle were amazed, so Peter used the opportunity to share the gospel—and as a result, thousands become believers. Temple guards arrested them, put them in jail overnight, and, the next day, put them on trial before the high priest and the Sanhedrin—the 71-member Jewish ruling council. And yet… notice how drastically different Peter and John—especially Peter—behaved this time compared to when Jesus was arrested. Peter, you’ll recall, was so afraid for his life that he denied even knowing Jesus. Three times! By contrast, in today’s scripture, when the council asks them, “By what power or in what name did you do this?” the two of them do not cower in fear. Peter does not deny Jesus. Instead, he stands before them and preaches the gospel to them with great courage and power. What accounts for the difference between Peter’s response here and his response just weeks earlier? You might even wonder “what’s come over Peter”—and that’s a great way of putting it—because the power by which Peter spoke these words literally came from somewhere else. Or from Someone else. What does it say in verse 8? “Then Peter, filled with the Holy Spirit…” That Someone was the Holy Spirit, the Third Person of the Trinity. Have you ever been filled with the Holy Spirit? I admit there’s a lot of confusion about what that means—in part because of our Pentecostal brothers and sisters. When I was in high school, I bagged groceries at Kroger. I made friends with a young man there named Elbert who was a Pentecostal Christian. I had never met a Pentecostal before, but I could tell that Elbert, like me, was a deeply committed Christian. So we had that in common, and we talked about our faith, and we talked about church a lot. Then one day Elbert asked me if I’d ever spoken in tongues, and I said no. I didn’t know anyone who had spoken in tongues. Now, while I don’t have the gift of tongues, I have known or read Christians who are trustworthy who tell me that they have the gift of tongues, and I have no reason to doubt them. Pentecostal Christians, however—as I learned from my friend Elbert at Kroger—believe that unless you speak in tongues, you haven’t yet received the gift of the Spirit. You may be saved—but you haven’t yet received the Holy Spirit. The gift of the Spirit, they believe, is a secondary gift that comes some time after saving grace. It was weird, I’ll be honest. Even at the time, long before I’d gone to seminary and learned more about theology, something about it didn’t seem right to me. If the Holy Spirit is something that God gives to us as a gift, why does receiving the Spirit have to be so much work? 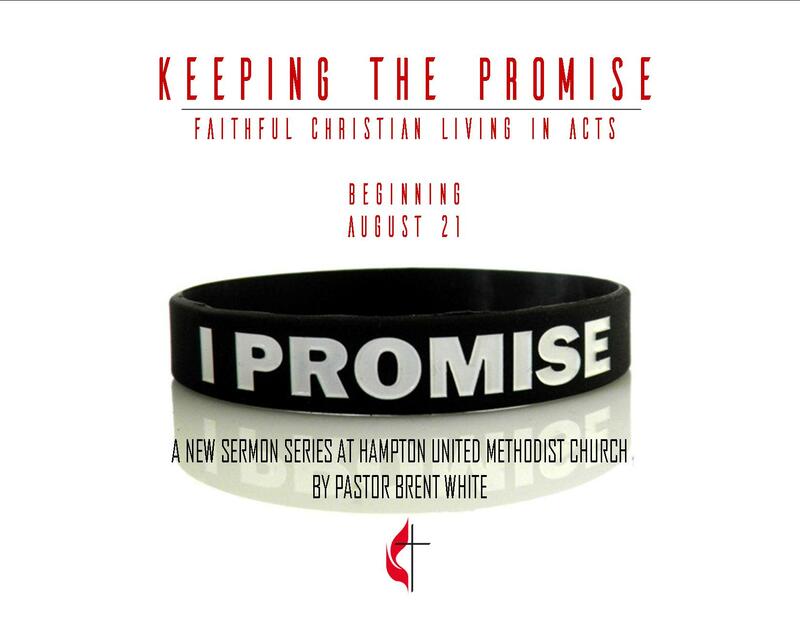 The people who receive the Holy Spirit in the Book of Acts don’t have to read a booklet to figure out how to do it! It just happens. Moreover, Jesus promises to give the Spirit to everyone who places their faith in him, without condition. You can read all about this in John chapters 14 through 17. All of us who have placed our faith in Jesus and received justification and new birth have received the Holy Spirit! If we are genuinely Christians, we all have the Spirit! I’m sure this is a intimidating idea to many of us. We’d prefer for the Holy Spirit to be a gift that’s given to other Christians, and not to us… That way, we’d be off the hook. Less would be expected of us. We wouldn’t have to worry about doing all those bold things that we see Peter and John doing in today’s scripture. That stuff is for other Christians, not for us. We’re just Methodists after all. But no… The Holy Spirit is for all of us. All of us can be filled with the Spirit. All of us have access to the power that the Spirit gives us through faith. I want this to be good and comforting and encouraging news to us! Consider Peter… Even though he seems so brave and strong and powerful in today’s scripture, he wasn’t so different from that scaredy-cat that we saw the night that Jesus was arrested. He hadn’t changed that much in a just a couple of months! Especially if we consider what Paul writes about Peter in Galatians 2. There, Paul describes a situation in which, he says, he confronted Peter “to his face” for his hypocrisy. Why did this happen? This was a time in the early church when Jewish Christians weren’t so sure how they were supposed to relate to their non-Jewish brothers and sisters. Many of them believed that these Gentile believers had to first become Jewish—by being circumcised and following other Jewish customs. And unless or until they did these things, Jewish Christians wouldn’t mingle with them. They wouldn’t sit down at a table and share a meal. Paul, of course, would have none of this: As he writes in Galatians 3:28: “There is neither Jew nor Gentile, neither slave nor free, nor is there male and female, for you are all one in Christ Jesus.” And Peter was on Paul’s side—at least at first. When Peter came to visit Paul’s church he enjoyed table fellowship with Gentiles. So let’s get this straight: In Galatians 2, years after the events described in today’s scripture, this same Peter, who wasn’t even afraid of being killed as he stood before the high priest and the Sanhedrin, was afraid of other people’s opinions—he was afraid for his reputation; he was afraid of what others might think about him! So much for brave and fearless Peter! I’m not saying this because I think Peter is a bad guy. Not at all. I’m saying this because Peter isn’t so different from us! Aside from being filled with the Spirit in today’s scripture, he was mostly the same old person he always was! This encourages me because I know myself! I know my own sin, my own struggles, my own failures, my own fears. I know all those places in my heart where I haven’t yet been converted, where the gospel of Jesus Christ hasn’t yet penetrated—where it doesn’t seem to make a difference. For example, I am a naturally anxious person. I know this about myself. Nearly every day presents me with new opportunities to feel anxious, to worry, and to be afraid: Afraid of failure. Afraid of being unfairly judged by others. Afraid of losing face. Afraid of getting some dread disease. Afraid of unemployment. Afraid of Candidate X being elected president… or Candidate Y. Afraid of whatever… Something happens every day that causes me to feel afraid. Yet I know that Jesus says, “Do not be afraid.” Well, I am afraid. What’s my problem? Jesus says, “Do not worry… Who by worrying can add a single hour to your life.” Well, I do worry, nearly all the time. What’s my problem? So I tell myself: “Brent, you need to work harder, you need to try harder, you need to be better, you need to do better.” And I feel like I’m on this hamster wheel of self-improvement, because I feel like I’m not getting anywhere. I still fail. I still struggle with the same things. The words of Paul from Romans 7 resonate with me: “For I do not understand my own actions. For I do not do what I want, but I do the very thing I hate… For I have the desire to do what is right, but not the ability to carry it out.” What about you? 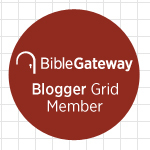 In 2 Kings 19, Judah’s King Hezekiah is afraid for his kingdom: He has watched Assyria lay waste to one nation after another, including, by this point, the Northern Kingdom of Israel. Now the king of Assyria, Sennacherib, is threatening to do the same to the Southern Kingdom. Needless to say, if God works his sovereign plan even through his enemies, how much more so through his beloved children—especially since he’s given us his Holy Spirit to live inside of us? Think of how this applies to our lives. What are you afraid of? There is no adversity that we face has taken God by surprise. There is nothing that we face that God isn’t currently working to redeem and use for our good! 5. See 2 Kings 19:21-28. This entry was posted on	October 21, 2016 at 11:11 pm	and is filed under Uncategorized. In Mark 13, Jesus speaks of the abomination of desolation” standing where it ought not. Why isn’t the existence of the Dome of the Rock standing where the Temple should be considered as such?